Choose from any of the modules below! "We have a terrific opportunity to provide millions of business owners with a smarter, simplified business improvement system that will allow them to scale, grow and automate their business." These business web apps have been developed over 25 years. The financials will even link to XERO & QuickBooks software. "We have used the MAUS Hub within our business as a planning tool for managers and have found by writing down and then monitoring progress, staff have become focused on delivering the outcomes agreed. A great tool for our property business"
“We have found the Hub to be an invaluable tool already just in a few weeks of use, for the focus and direction of the team…..I would have no hesitation in recommending this critical tool to any business owner small or large”. Imagine having an entire set of systems and programs in your business, in one cloud platform. Enjoy the power of large business systems at an affordable small business price. 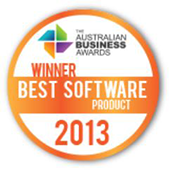 MAUS Business Systems is an award winning, leading publisher of management software. 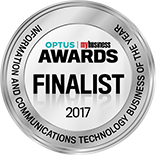 MAUS continues to deliver software solutions which have been developed for over 20 years and have won numerous awards, the latest including “National Small Business Champion for Information Technology” in Australia. We are recognised as the global standard in strategic, business and operational planning systems. ﻿The “MAUS Hub” management system is an award winning cloud based software platform that can be completely customised for your business. Utilising state of the art cloud based technology, the advanced MAUS Hub Cloud software will ensure the smooth running of many facets of your business. 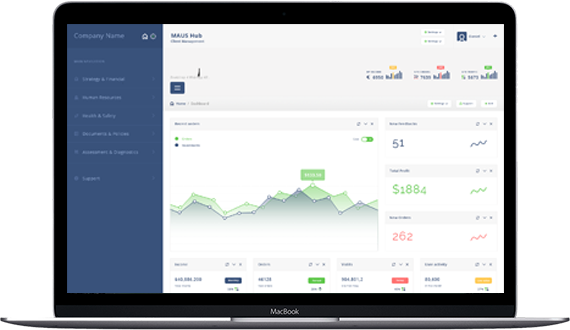 The MAUS hub will take over where financial management systems leave off!